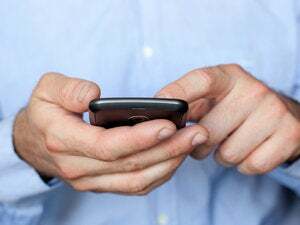 A majority of WiMax operators plan to offer mobile services by 2012, but a lack of smartphones that support the wireless technology will make it a challenge, according to a survey by Infonetics Research. Today, WiMax is mainly used for fixed or so-called nomadic broadband services -- where the user accesses the Internet, disconnects, moves to a new location and then connects again. However, two-thirds of the 25 service providers that Infonetics surveyed plan to use WiMax for mobile broadband by 2012, according to the survey. Also, 90 percent expect to offer Voice over IP using their WiMax-based networks by then, the survey said. For mobile services to take off, smartphones are needed. Today, a lack of WiMax-enabled products is the biggest concern for operators with mobile aspirations, according to Infonetics' survey. However, the incentive for smartphone makers to adopt WiMax should grow as the number of potential users goes up. Sprint's launch of the HTC Evo 4G shows that there is a pent-up demand for smartphones on WiMax networks. The EVO 4G was the third most popular Android-based smartphone, among consumers in the U.S., during the second quarter, trailing the Motorola Droid and the HTC Droid Incredible, according to market research company NPD Group. A lack of smartphones is the biggest, but not the only challenge, according to the survey. Operators are struggling to find a way to buildretail and distribution channels and offer low-cost services for developing countries, and the WiMAX industry is up against the clock to address these challenges, said Richard Webb, directing analyst for WiMax, microwave, and mobile devices at Infonetics. In May, Russian operator and WiMax provider Yota announced it was planning to roll out LTE (Long-Term Evolution), and hailed expectations that the main manufacturers will launch a large numbers of LTE devices as one of the main reasons.